Johnny Kidd was born on the 20th September 1955 in Balham, London and from an early age took a keen interest in the wrestling business. Like many before him, Johnny entered the amateur ranks at the Ampthill Amateur Wrestling Club. John was then taken under the wing of former British and European Welterweight Champion Ken Joyce who trained Johnny for a career in the professional ring. In 1978 at Salisbury City Hall, Salisbury Johnny made his professional debut against Tony Scarlo and has not looked back since wrestling many of the biggest names of the day including Jim Breaks, Johnny Saint, Mick McManus, Steve Grey to name but a few. Johnny was also selected to wrestle his mentor and trainer Ken Joyce in Joyces' last televised match in 1982. Johnnys biggest break in the wrestling business came on the 7th April 1981 when he was chosen by the promoters to appear on a televised presentation from Guildford. This was to be one of Johnnys many televised appearances on itv and although Johnnys appearance on the small screen against Jim Breaks was to end in a loss Johnny was not to be deterred. Johnny continued with his hard work and determination and on the 11th May 1982 Johnny had his first win in front of the television cameras in a match at the Fairfield Halls in Croydon against Bob 'Blondie' Barratt. Unfortunately for Johnny, this match was never broadcast due to time restrictions in the schedules. Johnny continued wrestling around the country and due to his television exposure was soon a fan favourite especially with the younger female fans and he soon earnt the nickname of Mr Smooth. Johnny was a very skilful technical wrestler learning more skills from the veterans of the ring with every outing. In the mid 1980s Johnny was one of the many lighter partners to be chosen by the promoters as a regular partner for Big Daddy. This catapulted Johnny into the main event although it meant that Johnny was now forced to step into the ring with such wrestlers as Giant Haystacks, King Kong Kirk, Bully Boy Muir and Banger Walsh, men who (with the exception of Walsh) were much heavier than Johnny but the experience that Johnny got from these matches were invaluable to him. Johnny would remain as a regular tag team partner to Daddy teaming with him in Daddys last ever television appearances for Grampian TV in 1990 up until Daddys retirement in 1993. With the end of ITV wrestling in 1988 the wrestling business in Great Britain went into decline and whilst there were still bouts taking place up and down the country these were getting limited over the years. Johnny continued to ply his trade but the wrestling business was changing, the Mountevans style which Johnny was trained for was slowly dying out to be replaced by the 'all in' wrestling rules. Johnny was invited to wrestle all over Europe and met some of the biggest names on the European circuit but by this time Johnny was wrestling more and more on a part time basis and so long European tours was something that unfortunately Johnny could not commit to. British wrestling started to have a revival in the early 2000s and Johnny, alongside the likes of Johnny Saint, Mal Sanders, Steve Grey, Drew MacDonald, Danny Collins and Skull Murphy were the only stars from the glory days of British wrestling still competing. The days of Joint Promotions had gone, Britains premier promoter Max Crabtree had long retired and had been replaced by independent promoters up and down the country. The wrestling at this time was different, the lack of television coverage meant promoters could not 'sell' the wrestlers and so the likes of Johnny Kidd were in demand as top of the bill wrestlers. Being associated to one promoter had also long gone and therefore Johnny was able to wrestle for whichever promoter he chose which he did to great success but despite the image of wrestling changing, Johnny stuck to the style that had served him so well throughout his career. Although Johnny never tasted championship glory in his early career this was about to change and he can now boast winning championships in Premier Wrestling Federation, Revolution British Wrestling, Dutch Extreme Wrestling and LDN Wrestling. 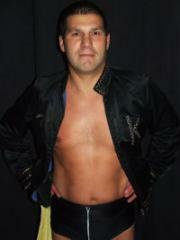 Johnny Kidd is one of the last 'old school' wrestlers still active in the ring today. His style of wrestling remains the same today as it was in his early career and although his career is now almost at an end Johnny still pulls on the boots now and again to give his fans a taste of the old school, something that is always enjoyed by not only the older fans but also the new generation of fans. In November 2013 Johnny was invited to main event the comeback World of Sport show at the Fairfield Halls in Croydon where he faced former WWE star Matt Striker. This was the first show filmed by ITV in over 25 years and for Johnny to headline this event goes to show the wrestling talent that he has and was the only choice for this match. Johnny is a great supporter of the British Wrestlers Reunion and attends every year where he gets to meet his fellow professionals and also the fans who he has entertained for the last 30 years of in ring action. 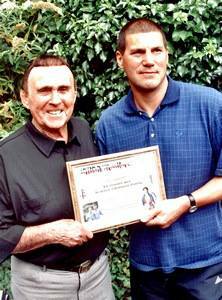 In view of Johnny commitment to the wrestling business we feel that Johnny Kidd fully deserves this ever lasting tribute by being inducted into the Hall of Fame.